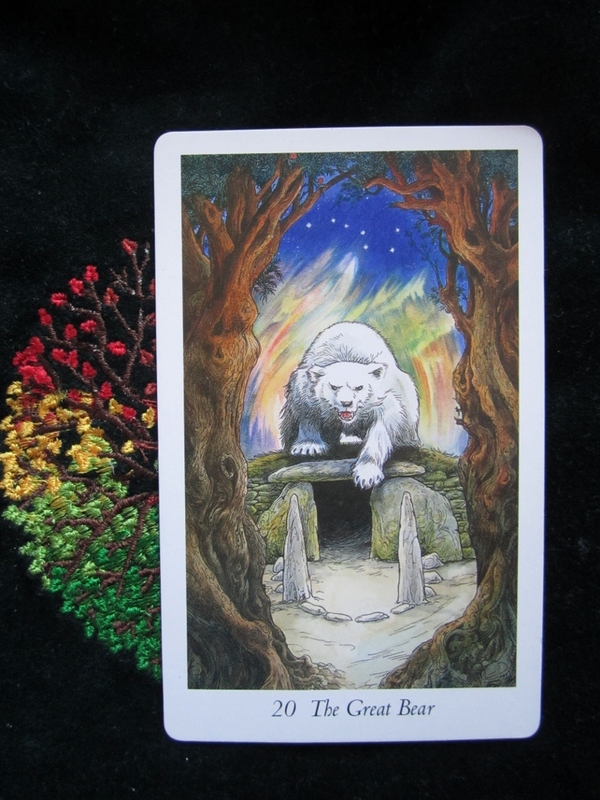 And on this Sunday, working with John Matthews and his wife Caitlin on the Wildwood Tarot deck and The Bow Spread, I pull out the 20th Card from the Major Arcana, The Great Bear. 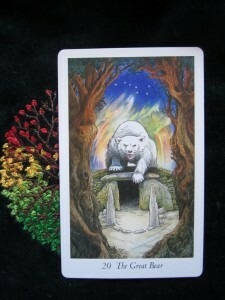 Mark and John have made this card with the ancient White Bear, the Spirit Bear. And so I take this to indicate that the changes that have been hinted and suggested this weekend through the many readings I have done for myself, with others, is down to myself. It is up to me as to what I want to do, what I choose to do. Off now to finish with John and meditate on a card from this deck and have fun for the last 1/2 hour before all our goodbyes are said. I’ll put a picture up of this fantastic card later! !